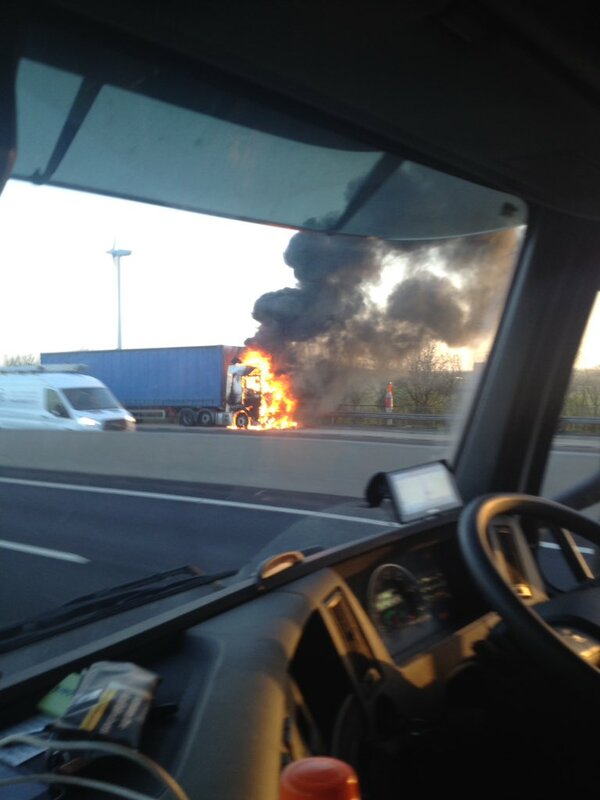 There's disruption on the M1 southbound this morning due to a lorry fire. Three lanes were initially closed closed between Junction 19 for the A14 at Catthorpe Interchange and Junction 18 for the A5 to Rugby. Cameras show smoke from the fire is blowing away from the carriageway which is allowing traffic to continue moving past. Queues are reported to be tailing back for five miles as the emergency services tackle the fire. Travel time is 70 minutes. Fire services have been in attendance since 06:30.